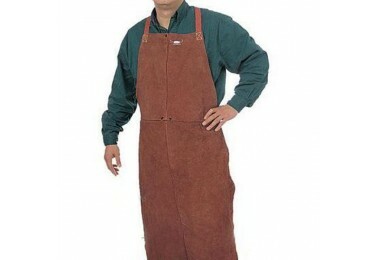 Lava Brown™ split cowleather welding bib apron. A-grade side split cow leather. Leather thickness: min. 1 mm. Self-balancing strap system.